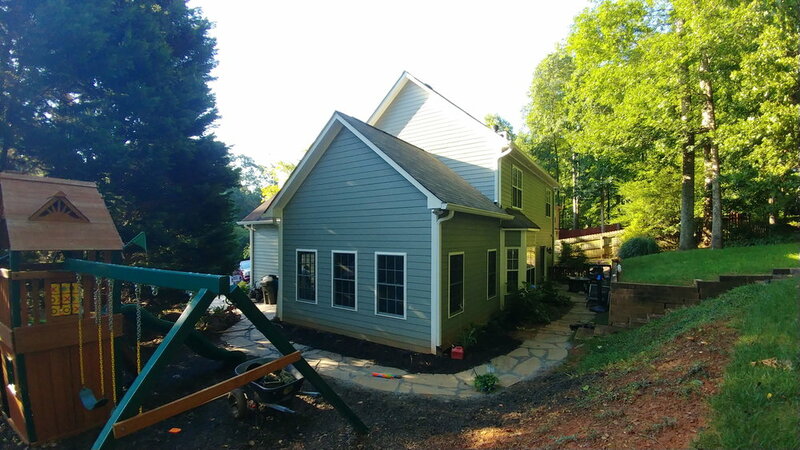 home addition Project Bose N.
Homeowner needed an additional room for entertaining his increasing family. He also needed a new deck – the old one had out-lived its usefulness. Home addition project Melissa a. Homeowner wanted to enlarge her kitchen with a sunroom / keeping room – providing an area where her children could play, and she could join them – without leaving the kitchen. home addition project PK d.
Homeowner retired from full-time work and needed an office in his home. The office is a room off the kitchen – with ample work space. The brick was matched to the original house – making a seamless transition from existing to new construction.